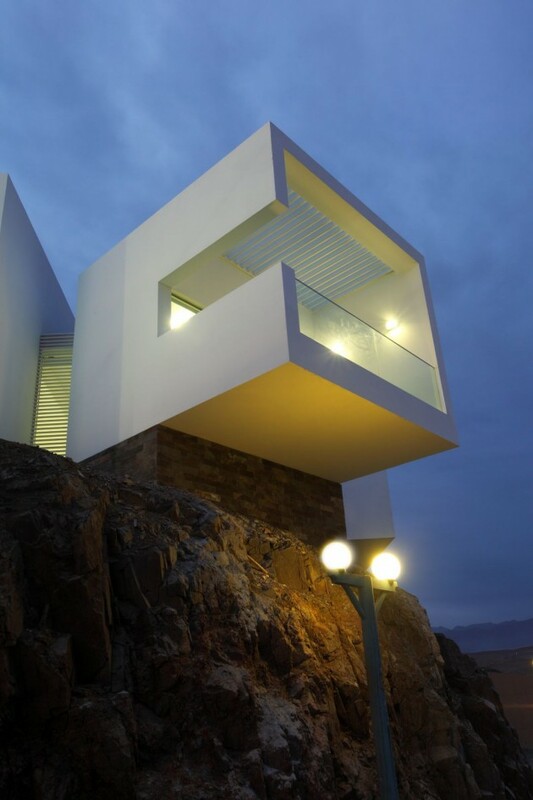 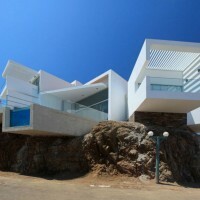 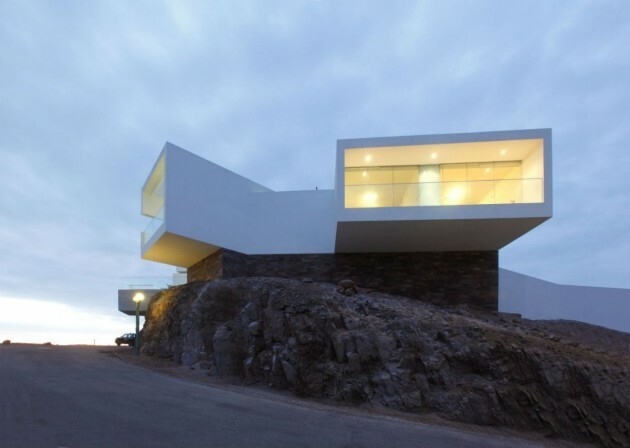 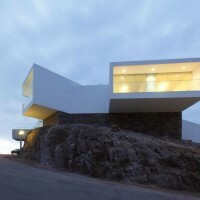 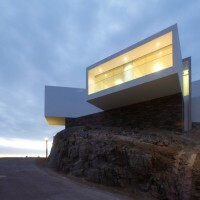 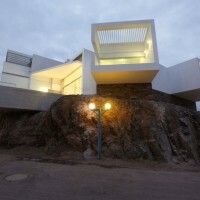 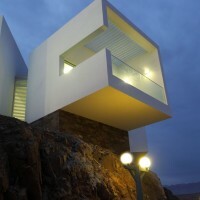 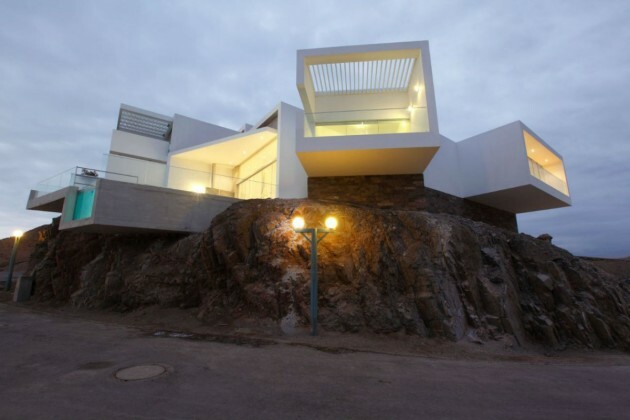 Vértice Arquitectos designed the Casa Playa Las Lomas I-05 in Cerro Azul, Peru. 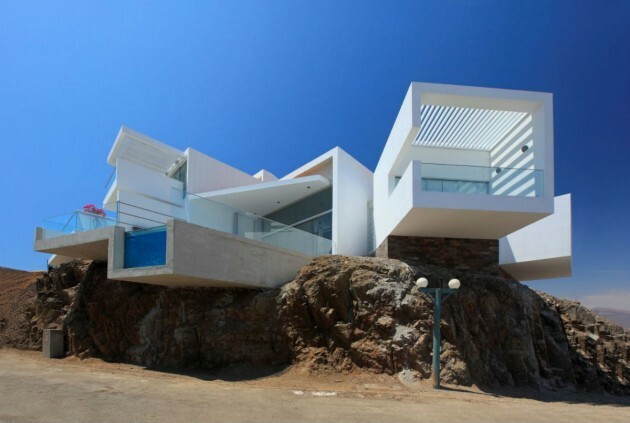 This house was designed in the first row, plot 5 in Lomas del Mar beach in Cerro Azul, 120Km. 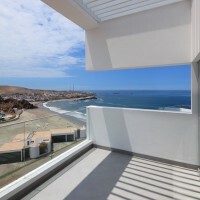 south of Lima. 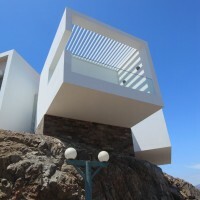 Two parallel volumes were designed, to accomplish the first objective, one of which leans on the other, which is 1.20 meters higher, to have the view of the sea. 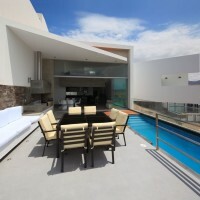 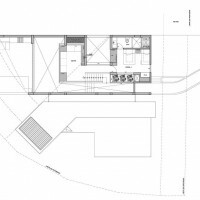 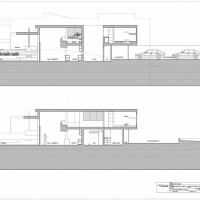 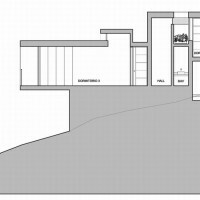 The volumes are joined by a main circulation axis which ends in a swimming pool overlooking the beach. 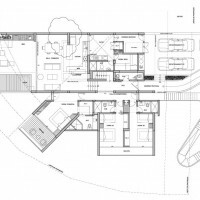 The first volume is found to the left of the entrance of the house, where most of the bedrooms have been located. 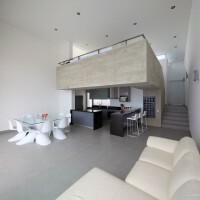 The master room and the adjoining terrace are revolved 45° as to have the view of the sea. 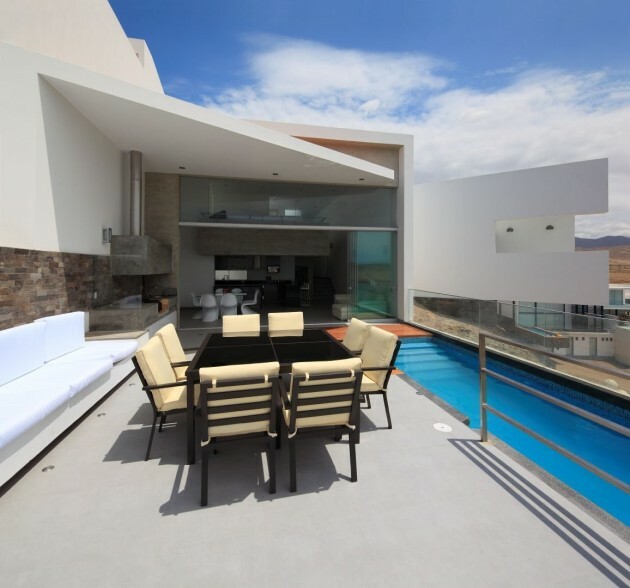 A two-story living and dining room area ends in the swimming pool and in a terrace perpendicular to it. 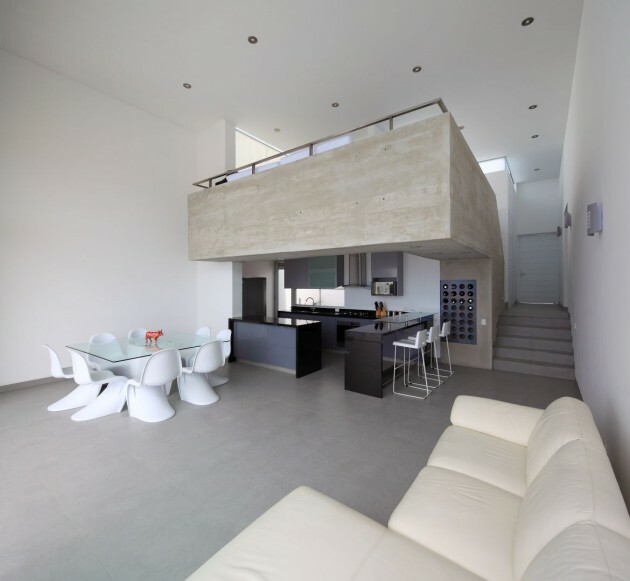 The family room, in the second level, is spatially opened to the living and dining room in the first level, and has also an open view to the ocean. 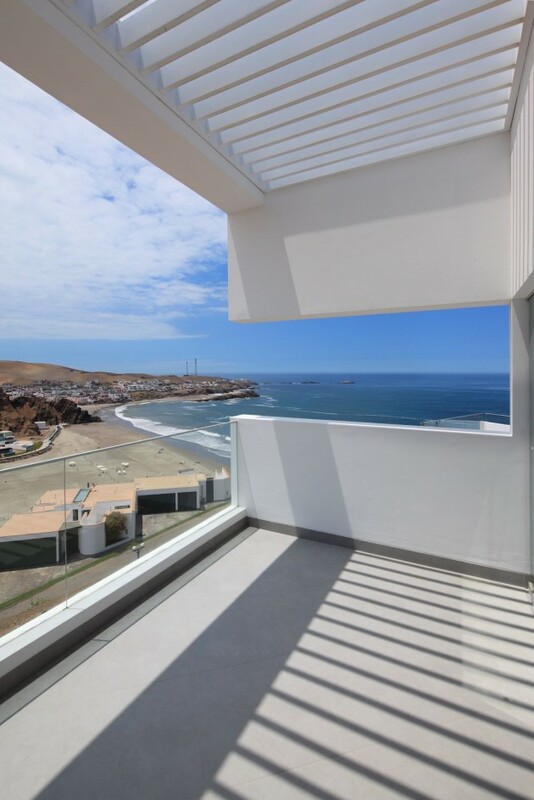 The materials used in the project have been: exposed concrete, white painting in the walls, stainless steel, tempered glass and granite stone. 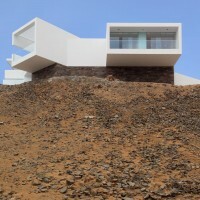 The latter has been used to cover the base on which the volumes rest, with the intention of separating these from the natural terrain. 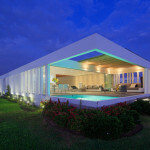 The pool is closed by a double face laminated glass in the external face that permits the same transparency to a view of the sea as the rest of the house.